People suffering from conditions of chronic pain or mental illness would rather consume cannabis than take their prescribed opioid medications. That’s according to a new study conducted by researchers with the University of Victory and the University of British Colombia. According to the study’s co-author, this research is the first of its kind to follow people who had access to both medical marijuana and prescription pharmaceuticals, such as opioids, benzodiazepines and anti-depressants. The study followed more than 250 people who were prescribed medication for formally diagnosed conditions ranging from chronic pain to gastrointestinal issues to mental health. In all, about 63 percent of respondents indicated they preferred to use cannabis over the prescriptions to treat chronic pain, depression and other conditions. So why would people prefer pot? According to the study authors, it may have a lot to do with the reduction in side effects, as well as the overall feeling that marijuana is a lot safer than many prescription drugs. The Centers for Disease Control and Prevention reported last year that prescriptions for opioid medications had quadrupled since 1999, with more than 40 people in the U.S. dying daily from overdoses. 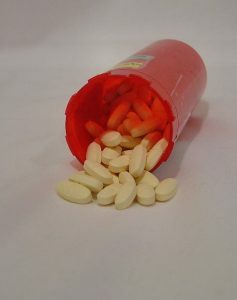 The problem is that while doctors may prescribe these drugs for legitimate purposes, people require an increasing dose for the medication to be effective over the long-term. This prompts physicians to up the dosage (or for patients to do so on their own). These increasingly higher levels of power medications put patients at high risk of accidental death from overdose. Researchers in the U.S. with the University of Michigan School of Public Health and Medical School surveyed 185 patients from a marijuana dispensary in Ann Arbor in 2013 and again in 2015. What they discovered was a 45 percent reported improvement in the quality of life since using marijuana over prescription painkillers to alleviate chronic pain. The newer Canadian study, published in the International Journal of Drug Policy, mirrors these findings and suggests marijuana can – and should – have a key role in addressing the opioid epidemic that has been sweeping both bordering nations. Canada was one of the first countries in the world to develop a program that allowed access to medical marijuana. Nationally, there are 30 federally-authorized licensed producers and approximately 65,000 patients. Obviously if the U.S. federal government were to ease its restrictions and allow for medicinal use of marijuana, the numbers here would be much higher. As it now stands, there are 28 states that allow for legal medicinal use of the drug, while eight states and Washington D.C. allow cultivation, sale and possession for recreational purposes. But while the majority of the country has approved of medical marijuana, our federal government has been yet to lift the federal Schedule I classification that labels marijuana a dangerous drug – one that is highly addictive and with no redeemable medicinal properties. Although the Obama administration had finally eased enforcement of federal statutes so long as marijuana businesses and individuals followed well-formulated state laws, it does seem as if the Trump administration – U.S. Attorney Jeff Sessions in particular – plan to take a tougher line. This is despite the obvious benefits as outlined by this study and more.